Lately, Samsung is busy reportedly preparing for the launch of Galaxy S9 and S9 Plus at MWC held in February 2018. A document filing for a telecommunications network certification states that Samsung Galaxy S9 and S9 Plus will debut on 27 February 2018. Is This The Front Panel of Samsung Galaxy S9 and Galaxy S9 +? As the latest news this time that reveals some of the latest leaks from the front panel of Samsung Galaxy S9 and S9 Plus. Previous news mentioned that the Galaxy S9 will come with a touch screen with the ratio of the screen to the body reaches 90%, much larger when compared with Samsung Galaxy S8 which only reached 84%. But judging from the similarity between the front panel between Samsung Galaxy S8 and S9, allegedly Galaxy S9 will apply a slightly simpler design than the previous generation. Based on the leaked images, it seems clear that the Samsung Galaxy S9 still leaves a thin bezel at the top of the screen to place the range of sensors, speaker holes and front camera. 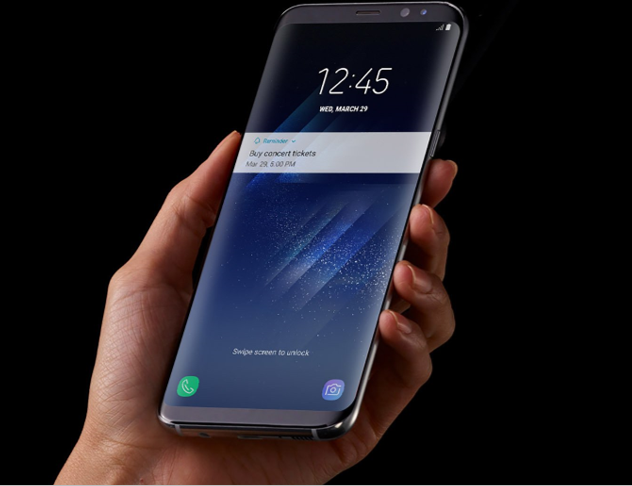 Samsung Galaxy S9 and S9 Plus not only focus on the Infinite Display feature but will also bring in many innovative designs, with a vertically designed fingerprint sensor and more enhanced than the Galaxy S8. Samsung Galaxy S9 will be the first smartphone that will run the latest processor made by Qualcomm Snapdragon 845.